ON DRINKING CHOCOLATE: Sorry for the title, I’m Act II deep in Romeo and Juliet with the freshmen. If there is a substance that is lovely enough that it needs Shakespearean language for an accurate portrayal, it is Lilly’s drinking chocolate. Lilly, known to her mother as Amanda Montague, is Tremont’s magical, candy-making forest witch. She puts lavender and violets on her dark chocolate and salt in her white chocolate. 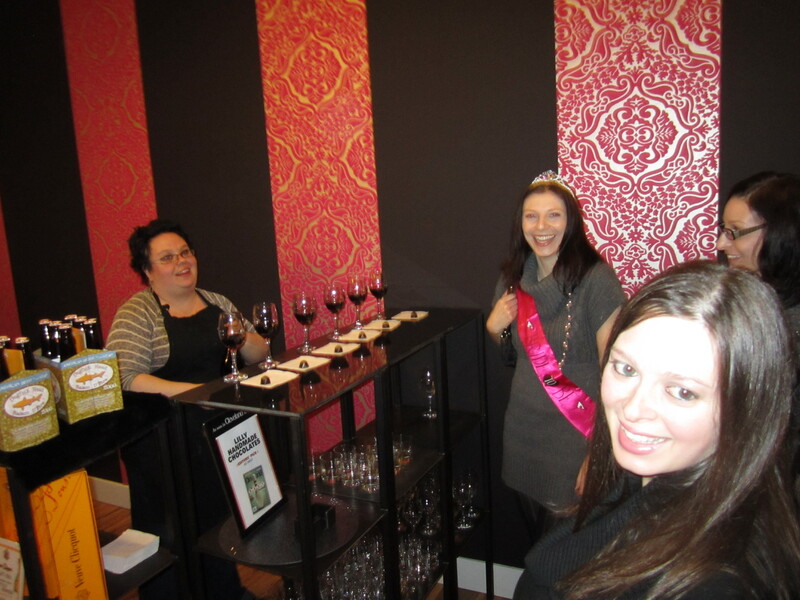 And, as you can see from this photo, was kind enough to open her doors for Jen’s bachelorette party with some amazing wine pairings. But what makes Lilly’s store and creations most transcendent, most bewitching, most sorcerous, is her drinking chocolate. Like a cup full of melted down beauty with hints of cayenne and cinnamon, it tastes like your grandmother making you a cake for your sixth birthday, like Christmas in a cabin with Hagrid, like Mexico, snow flurries, and stepping in after a rain storm to dinner cooking. It, as one of my students said today, defies words. It. is. lovely. And, practically, Shakespearean.